OAKLAND, Calif. — A California judge overseeing the case of a teenage girl who was declared brain dead following a tonsillectomy and other throat and nasal procedures has allowed the hospital to remove the girl’s life support pending appeal. The family has asked for a third opinion by Dr. Paul Byrne, the co-editor of the book Beyond Brain Death. He told CBS News this week that while he has not seen the girl’s medical records, he believes that there is a possibility that she may still be alive. But following Fisher’s testimony on Tuesday, Judge Grillo permitted Children’s Hospital and Research Center to remove the ventilator after Monday, December 30th, pending an appeal from McMath’s family. Options are now being discussed as the girl’s family continues to pray for a miracle. 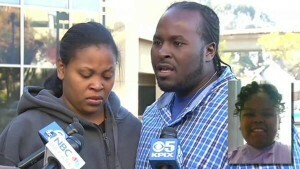 According to Mercury News, there has been an enormous outpouring of support for McMath and her family since the ordeal, as the lobby is often filled with those bringing flowers and cards, or pastors offering prayers and Scripture, as well as those who seek to lay hands on and anoint the teen with oil. A march was held earlier this week outside of the hospital, and a prayer gathering took place last Wednesday at the family’s church.